Your actions don't have to be loud and grandiose to make a positive difference. The behind-the-scenes work you do to ensure the event runs smoothly. The kind greeting you give to the new person who looks uncomfortable. The space you hold for your friend to share her grief. The ‘thinking of you’ letter you send without any expectation in return. The 85 million loads of laundry you have quietly completed. The words of affirmation you offer a coworker when he thinks his presentation went horribly. Often the big, grand, loud, or center-stage actions seem to get the attention. But the small, quiet, meaningful gestures – they matter, too. 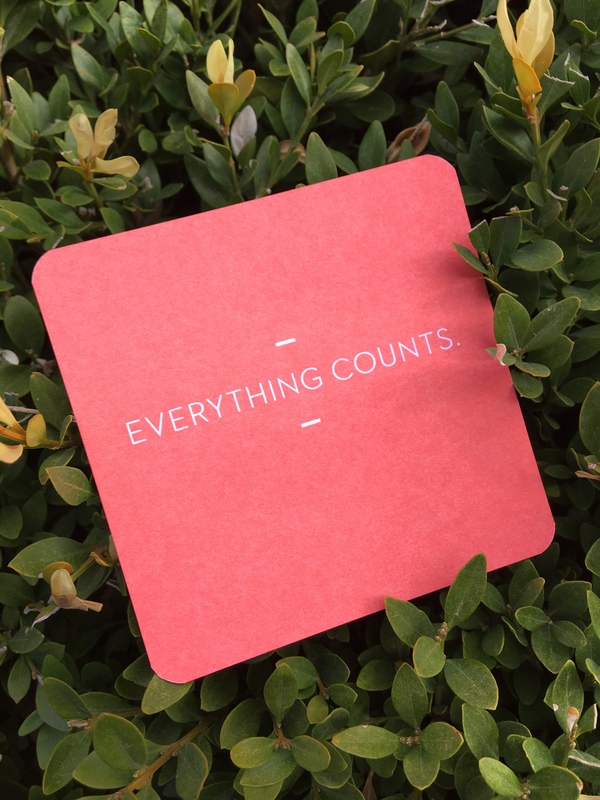 Everything counts. Thank you for all you do, whether you are heaped with praise for it or not! You make a difference. Ready to clarify your vision and achieve it with confidence? Contact me to schedule a coaching consultation!